But I am even more excited about the train your own model feature. Machine learning requires large data sets and skilled engineers to build the technology that can derive “intelligence” from data. Small companies struggle with both. And so without machine learning as a service from companies like Clarifai, the largest tech companies will have a structural advantage over small developers. Using an API like Clarifai allows you to get the benefits of scale collectively without having to have that scale individually. Custom Training allows you to build a Custom Model where you can “teach” AI to understand any concept, whether it’s a logo, product, aesthetic, or Pokemon. 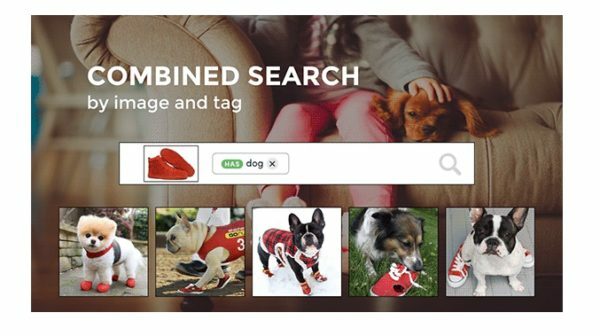 Visual Search lets you use these new Custom Models, in conjunction with our existing pre-built models (general, color, food, wedding, travel, NSFW), to browse or search through all your media assets using keyword tags and/or visual similarity. If you are building or have built a web or mobile service with a lot of image assets and want to get more intelligence out of them, give Clarifai’s API a try. I think you will find it a big help in adding intelligence to your service.